Since we first opened our doors, we have received a lot of positive feedback and support from our clients. Here are just a few customer reviews that we have gotten on Yelp and Google. If you are currently one of our clients then we urge you to post what you thought of our service! See our article in the Carlsbad Chamber of Commerce Business Journal. Go check it out on Page 16! 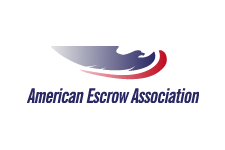 PEAK Escrow, Inc. is dedicated to providing the highest standard of service to facilitate the seamless closing of your escrow. Our name says it all: Professional, Efficient, Accurate and Knowledgeable.